Project Natal knows when you're holding your hand behind your back, according to a new report. But it also might require enough horsepower to limit its relevance to system-pushing video games. [Project Natal lead developer Alex Kipman] says Natal consumes just 10 to 15 per cent of the Xbox's computing resources and it can recognise any pose in just 10 milliseconds. It needs only 160 milliseconds to latch on to the body shape of a new user stepping in front of it. The system depends on a "50-megabyte software package that can recognise 31 different body parts in any video frame," and will know, according to Kipman, if you put your hand behind your back. At E3 2009, Project Natal was announced as a device that would run off of its own processor and was shown to work with highly-detailed, blazingly-fast racing game Burnout: Paradise. Rumors that Natal no longer has its own processor coupled with this report that Natal needs 10-15% of the 360's juice, raise questions about where a game that was made to push the 360 to its limits without Natal would be able to support the Natal peripheral. That would seemingly diminish the ability to connect Natal to the highest-end games, though that's speculation we'd need professional game developers to weigh in on. Only they know how much Xbox 360 horsepower their games require. The report makes no mention of the Natal using its own processor, an element it was recently rumored has been dropped and would explain why the Natal is now drawing on the 360's processor. Supporting that theory of a removed processor are changes made to Microsoft's official Natal fact sheet since E3. "Project Natal" sensor. "Project Natal" is the world's first system to combine an RGB camera, depth sensor, multiarray microphone and custom processor running proprietary software that brings "Project Natal" experiences to every Xbox 360 console. 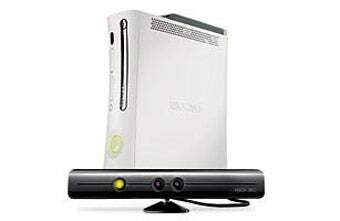 The "Project Natal" sensor tracks full-body movement and individual voices, creating controller-free fun and social entertainment available only on Xbox 360. "Project Natal" sensor. "Project Natal" combines an RGB camera, depth sensor and multiarray microphone running proprietary software that brings "Project Natal" experiences to every Xbox 360 console. The "Project Natal" sensor tracks full-body movement and individual voices, turning you into the controller for social entertainment available only on Xbox 360.